This photograph captures a vintage FIAT Cinque Cento. These cars are the VW Bug of Italy. 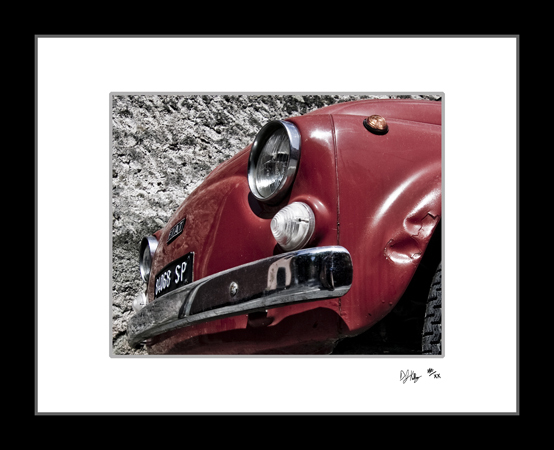 This picture captures one with a castle wall behind, contrasting the smooth (minus the wrinkled fender) lines of the FIAT with the texture of the stone wall. FIATs can be seen all around the coastal towns of Italy, some in good shapre, some in bad shape. These older FIATs are slowly being replaced in Italy by newer small cars that lack character.